Many marketers are missing the mark when it comes to reaching moms, relying on the one-size-fits-all stereotype of the married, harried mom. But the reality is that today’s mothers are ever evolving and multi-faceted. They are working moms and stay-at-home moms, single moms and married moms, boomer moms and millennial moms – moms of every imaginable kind. 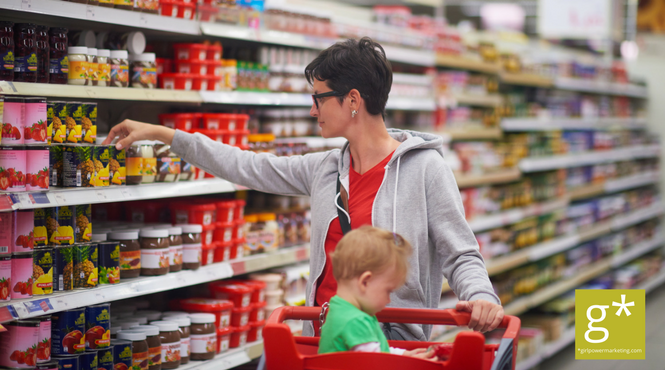 Not recognizing that moms are a much more diverse group than represented will result in marketers continuing to struggle to engage these consumers who make 85% of all household purchasing decisions. A generation ago, single moms were rarely if ever even recognized by marketers. Today, the birth rate outside of marriage has reached 41% compared to 20% just thirty years ago. Single motherhood is so common that statistics indicate half of all U.S. children will live with a single mom at some point before turning 18. Single mothers may not have been attractive to marketers because they were perceived as younger and from lower socio-economic backgrounds. Today, many moms are single by choice — well educated, employed and financially independent. Some are even living with partners. Many are older and feel they’ve reached a benchmark where it’s time to start a family, with or without a husband. Marketers need to recognize today’s moms as a richly diverse group and create campaigns that embrace that diversity. Following are some guidelines for reaching and connecting with this important demographic. Moms aren’t perfect, and they’re not striving for perfection. They’re ever evolving, emotionally complex and multifaceted. According to Saatchi & Saatchi’s global study on “Moms and Marketing: IRL (In Real Life), 51% of respondents said advertisers don’t understand them. Not a good sign for marketers, given that there are approximately two billion moms in the world. Do the math: roughly one billion moms feel marketers are not speaking to them in authentic ways. That’s a lot of potential customers. Create real, inspirational stories that resonate with your target mom. Relatable, relevant content with information she can use and that makes her life easier. Moms not only do most of the physical work in the household but the majority of the mental and emotional work as well. They decide what needs organizing and what needs delegating. They do most of the worrying, research, information processing, and planning. Content that presents an honest portrayal of motherhood will say your brand gets her and will make her sit up and take notice. The overwhelming majority of moms are online, researching product information, finding product recommendations and engaging with their communities. Brands that provide authentic interaction and meaningful connection can spark lasting advocacy and ongoing engagement with moms who come to view the brand as essential to her parenting experience. American moms spend an average of 2.3 hours per day on their mobile devices. Mobile marketing campaigns are an important part of any campaign designed to reach moms. Short videos and digital content designed for co-viewing with children that is both entertaining and educational will get her attention. By all measures, moms lead the way as the demographic most amenable to cause marketing. Moms want a better world for their children; to that end, 92% say they want to buy a product that supports a cause. They’re also more likely to switch to another brand if the other brand were associated with a good cause. Most moms see themselves as a work in progress, which provides brands with many different opportunities in which to engage them. Smart marketers will recognize those opportunities and reach out authentically to understand and connect with them.